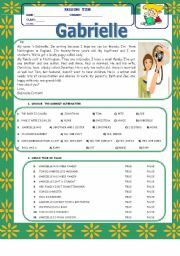 thx for your nice comments!! 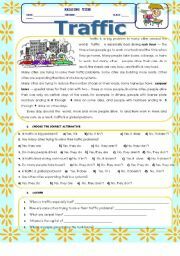 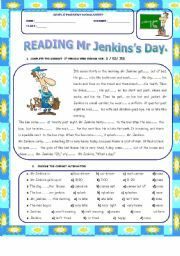 WORKSHEET TO PRACTICE THE 3RD PERSON SINGULAR IN PRESENT SIMPLE THAT AT THE SAME TIME IS USED AS READING, WITH CLOSE UP EXERCISES, MULTIPLE CHOICE, TRUE /FALSE. 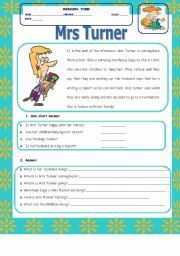 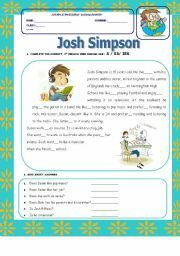 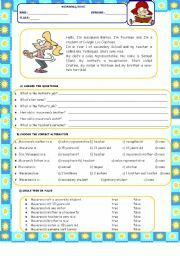 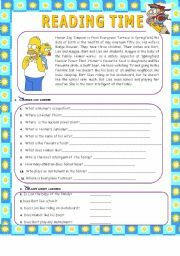 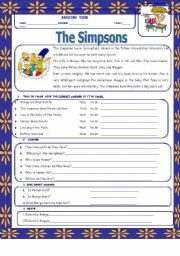 Present simple text about the simpsons with items of true/false, wh questions and a part where the students have to desribe 2 of the characters. 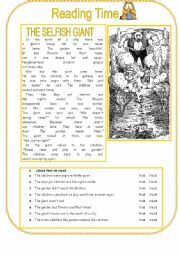 BEATIFUL STORY ABOUT THE SELFISH GIANT. 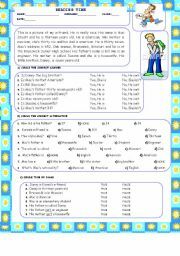 PAST TENSE READING WITH TRUE / FALSE ITEMS, ALTERNATIVES AND QUESTIONS.